Great customer service & money-back guarantees are just two of the features discussed in our Liberty Tax review. Find out if this tax prep service is right for you. Liberty Tax is probably one of the first names that comes to mind when you think of a tax preparation franchise, right alongside H&R Block. If the terms "deduction," "child tax credit," and "exclusions" make you want to run screaming for the hills, using a tax preparation service is probably the safest bet. After all, it saves time and a lot of headaches to let someone else wade through the sea of convoluted tax law. Liberty Tax is more expensive than H&R Block. Liberty Tax costs an average of $191 per tax return. Keep in mind, however, that the amount will vary based on the number of forms required and the complexity of your tax return. Although you may pay more to have your tax return prepared, you're also likely to get the greatest amount back and have access to great customer service. That said, it's important to consider other factors—like audits. While H&R Block will go in your place, Liberty Tax will send someone along with you to the audit. Liberty Tax is the third largest tax preparer in the country, coming in behind H&R Block and Jackson Hewitt. Its prices are slightly higher than H&R Block's, with the two coming in at $191 per return and $147 per return respectively. Liberty's bet is that you'll pay more for its customer service. Both companies offer accuracy guarantees. If your return is wrong and the IRS assesses fees or interest, you will be reimbursed for the trouble. However, any extra amount you owe to the IRS is still your responsibility to pay. Liberty Tax provides Audit Assistance. If you are audited, someone from your local tax offices will come with you to the audit to offer assistance and explain how the return was prepared. H&R Block offers a similar service through its "Peace of Mind" program, but it costs an extra $50 on top of your return fees, and H&R Block will go to the audit in place of you. Both companies offer free consultations. You can sit down for a consultation at both Liberty Tax and H&R Block to discuss your tax situation before you file, at no charge to you. Liberty Tax offers a maximum refund guarantee. If you file your return online through Liberty Tax and receive a larger amount through a competitor, Liberty Tax will refund you the preparation fees. If you'd like to look into H&R Block, then check out its website to get started. Although it can take several weeks to receive your refund, Liberty Tax provides an optional advance of up to $750 on your return. The company also offers several other strengths that make it stand out from the competition. While some tax preparation programs give you forms, Liberty lets you choose the ones you want to fill out. Once you've done this, the program examines the information you've entered and suggests additional forms that may result in tax deductions and credits. If the online service doesn't suit your needs, you can walk into any of the Liberty Tax locations around the country and work with a trained tax professional to ensure your taxes are filed correctly. It doesn't matter if you've used an older program—Liberty Tax enables you to import information from previous years' returns to speed up the filing process. Liberty Tax charges higher rates for returns than many of its competitors do, and where the 1040EZ is usually free to file, Liberty charges $19.95 for that service. Prices only go up from there. Including a charge for filing state returns. Where many services will have a pop-up that displays the definition of a tax term, how to calculate a certain rate, etc., Liberty Tax relies on longer explanations and more scrolling. This can slow down the filing process. There is also no mobile app. Tax law is one of the most confusing aspects of modern society. Because tax requirements change by the year, it can be difficult to keep information straight—and the explanation you find online might be outdated. Liberty Tax professionals undergo classes each year to stay on top of changing tax laws and requirements. If the phrase "earned income credits" makes you hold your head in confusion, it's better to let someone else sort through the filing for you. Due to Liberty Tax's guarantee, if a mistake is made, you aren't liable for any fees. John Hewitt knew a bit about taxes after attending a tax-prep course at the University of Buffalo in 1969. Almost 30 years later, in 1997, he purchased U&R Tax Depot, a Canadian tax franchise. The following year, five offices opened in the US and became Liberty Tax Service. There are now more than 4,000 Liberty Tax locations throughout the United States, and the company itself is headquartered in Virginia Beach, Virginia. Liberty Tax Service has received numerous awards throughout the year, including being ranked the #1 non-food franchise by Multi-Unit Franchisee magazine. If you're interested in using Liberty Tax's services, you can file online at any time. However, you likely won't have a hard time finding a physical location somewhere near you considering how widespread the company is. 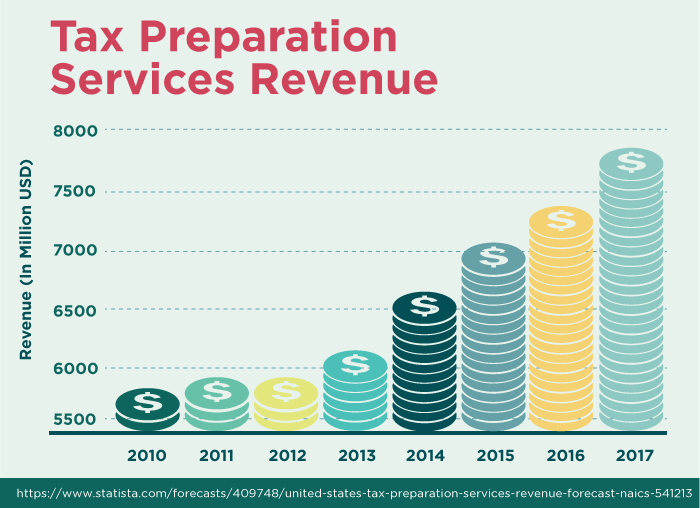 Liberty Tax Service is one of the fastest growing tax franchises in the country and is poised to surpass a lot of the competition in years to come. Liberty Tax Services is a tax preparation franchise, which means the company helps you prepare your tax returns to be compliant with current tax law. The company will also help you to maximize the amount of money you receive from your tax refund each year. Recent news stories state that more than $1 billion was left unclaimed in the past year. Check out my story on how to claim unclaimed money. You don't want to leave money on the table. 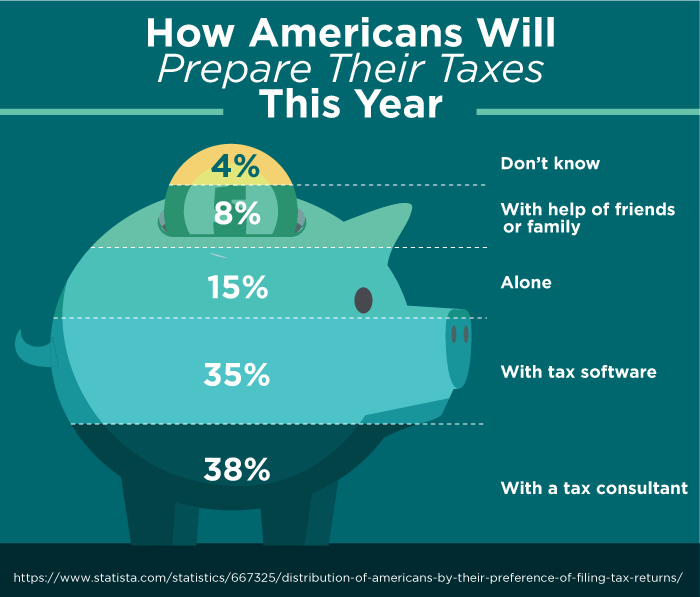 Personal tax preparation is the main reason people use Liberty Tax. The average consumer can't be expected to keep up with finicky tax regulations—after all, no one enjoys paying taxes, much less trying to figure out what to include on your itemized taxes. Liberty Tax makes it easy for you to file your own taxes online through its tax preparation software, but if that seems too daunting to attempt, you can visit any of the company's locations and work hand-in-hand with a tax professional who will prepare your return and file it for you. Do you know if your business is a C-Corp or an S-Corp? Liberty Tax does. Understanding the various nuances of business tax law can be even more complicated than personal tax law. Liberty Tax can help businesses small and large save money on their taxes each year. Whether you're trying to determine whether a specific expense counts as business expenditure (and thus a deduction) or which tax bracket your business belongs in, Liberty Tax can help. Although you can use its software to file your business' taxes online, take it from someone who owns a business: it's usually easier to let the people with training handle it. Liberty Tax sets itself apart from the competition by providing Spanish-language services to help the United States' large Spanish-speaking population. When someone comes to America to get a new start, it can be daunting—particularly if you don't speak English. Given the huge number of people along the southern border that speak Spanish 90% of the time, filing taxes can be difficult. Liberty Tax Services has hundreds of locations across the country with Spanish-certified individuals that can help you understand the tax preparation process and what information is required to file accurately. Liberty Tax Services offers payroll software to help you manage your business accounting with ease. The program is cloud-based, so you can access it from any device at any time. The software helps businesses manage accounting and bookkeeping. Because the information is online, this data can be used to automatically fill out certain forms when you go to file your taxes. Not only does it simplify the process of running your business, but it speeds up your filing too. When dealing with taxes, it's easy to feel like just a number. Multiple reviewers mentioned the lengths that Liberty Tax professionals went to help them understand their taxes, no matter how complicated the situation may have been. One reviewer, in particular, mentioned how he did not have the necessary funds to pay for the return, but Liberty Tax waived the fee and helped him anyway. Other customers spoke highly of Liberty Tax's ability to find money that was missed in previous years' returns. Several reviewers found upwards of $200 that had been overlooked in the returns filed two or three years before. One reviewer stated that although the cost for Liberty Tax was higher, it was worth it. The biggest customer complaint about Liberty Tax centers on the high fees. Liberty Tax is more expensive than the competition. And by a significant sum. Although there is a base fee, additional fees are added for labor, time, and the complexity of the tax return. More forms equal more fees. Customers felt they were charged unfair rates without explanation. Other customers felt that Liberty Tax did not honor their agreement when it came to mistakes made on tax returns. One reviewer faced scrutiny from the IRS, but claimed Liberty Tax did not work with her as its guarantee assured—instead, she faced the audit alone and owed several thousand dollars as a result. Liberty Tax Services provides users with a bevy of free educational materials, including a tax calculator, a withholding calculator, tax tips and information, multiple tax preparation tools, and a frequently asked questions page. Liberty Tax also offers paid classes you can take to learn how to make the most of your tax returns. 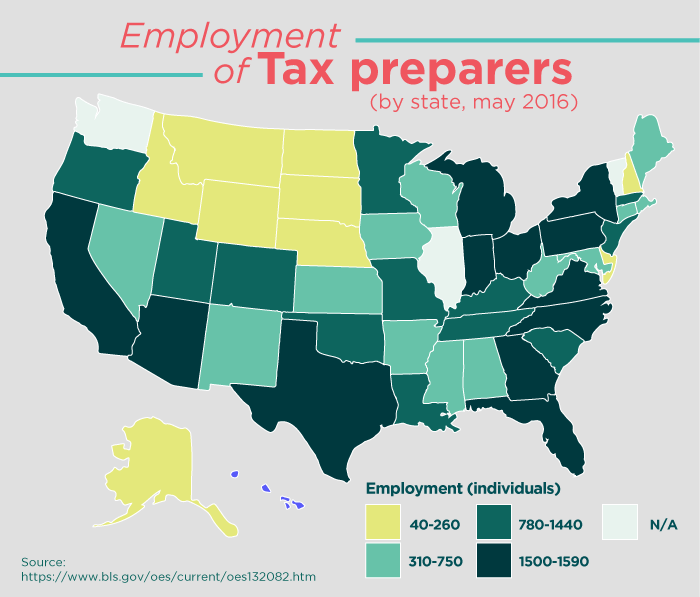 The Liberty Tax blog is updated regularly with information relevant to taxpayers, such as what income is and is not taxable, how to handle self-employment tax, and much more. If you want to file your taxes online without the help of a tax professional, visit the Liberty Tax website and select the blue "Start for Free" at the top of the page. This will take you to a signup form that will request your first and last name, your email, phone number, a username, password, and three security questions. Once you've created your account, you can begin entering the information. The software will guide you through the process. If you wish to work with someone, call one of the physical locations and make an appointment ahead of time to guarantee someone is able to see you. You'll need to bring all relevant tax information with you: your W2, 1099s, and any other forms you have been issued. You will also need to bring receipts of any business expenses you have made. Because Liberty Tax does not work on a subscription model, you do not have to sign a contract. Ceasing to use the company's services is as easy as going to a different tax preparation software the next year. Until you submit your tax return, you will not be charged and can stop the process at any time. Can I find a Liberty Tax in my state? Liberty Tax locations can be found throughout the country. If you need to find one near you, just use Liberty Tax's locator tool. Yes, you can file both federal and state tax returns through Liberty Tax. You can request previous years' tax returns via the IRS by filing a Form 4506, Request for Copy of Tax Return. 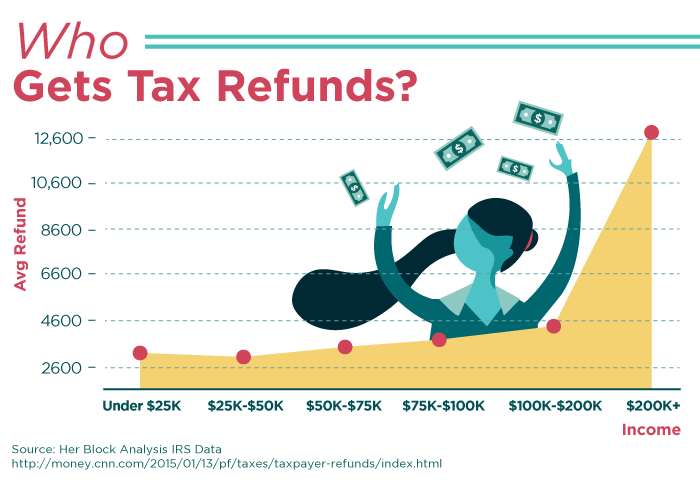 You can track the status of your tax return by using the IRS' "Where's My Refund?" tool. Liberty Tax maintains "physical, electronic, and procedural security measures that comply with applicable legal and regulatory standards." It is possible to amend an already filed tax return. To do so, you need to file Form 1040X, Amended Tax Return, as well as any corrected or additional documents you did not originally file. Will Liberty Tax take a second look at my file for free? Certain Liberty Tax locations will double-check your return for errors if it was prepared by someone else. Can I import my information from TurboTax or H&R Block onto Liberty Tax? You cannot import information from one service to another, but Liberty Tax will allow automatic import of some information from your tax forms. What kind of support will I receive from Liberty Tax in the event that I get audited or get a tax notice in the future? If you are audited, someone from your local Liberty Tax office will go with you to the audit to help you answer questions and explain how the return was prepared. Does Liberty Tax offer Expat tax services? Liberty Tax does offer tax preparation for expatriates, however, this may be on a location-by-location basis. Can I pay Liberty Tax with my refund or do I pay out of pocket? You can pay Liberty Tax with your refund but you may be charged a service fee if you do. Do I need to use LT services again next year even if I don't want to? You are free to use any tax preparation service you want. There is no contract with Liberty Tax that says you have to use the service again. How much is the LT tax preparation course? The cost for the Liberty Tax online basic course is $199, while the online rapid course is $49. According to the IRS, 9 out of 10 e-filed tax returns will be processed within 21 days. Paper returns may take as much as 6-8 weeks. Does filing online guarantee the same accuracy rate as filing my taxes with an expert? Liberty Tax provides the same accuracy guarantee if you file online or in-person. The only difference is that one is filed via Liberty Tax online software while the other is filed by an in-person tax professional. Can LT offer a tax return advance if I can't wait for the IRS to send me the funds? Liberty Tax offers up to a $750 refund advance. Yes, you can save your progress and complete your tax return later. The money-back guarantee states that if you receive a better refund from a competitor, Liberty Tax will refund you the preparation costs. Liberty Tax provides great customer service and a proven track record, but brand loyalty in the tax preparation field is fierce. Fans of H&R Block will swear by the company while denouncing Liberty Tax, while Liberty Tax customers wouldn't be caught dead in an H&R Block location. Ultimately, it boils down to your personal needs. If you are self-employed worried your tax return might raise eyebrows (or you are due for an audit), H&R Block might be the better choice. The company will go in your place and deal with the IRS, saving you a lot of time and worry. Liberty Tax will send someone with you, but you're still required to attend. On the other hand, Liberty Tax has a proven record of customer service and a host of resources that include a number of free tax classes to help you understand what you're paying and why. Each company excels in certain areas and lags behind in others, which makes it difficult to declare a clear winner between the two. Do you use Liberty Tax Services?